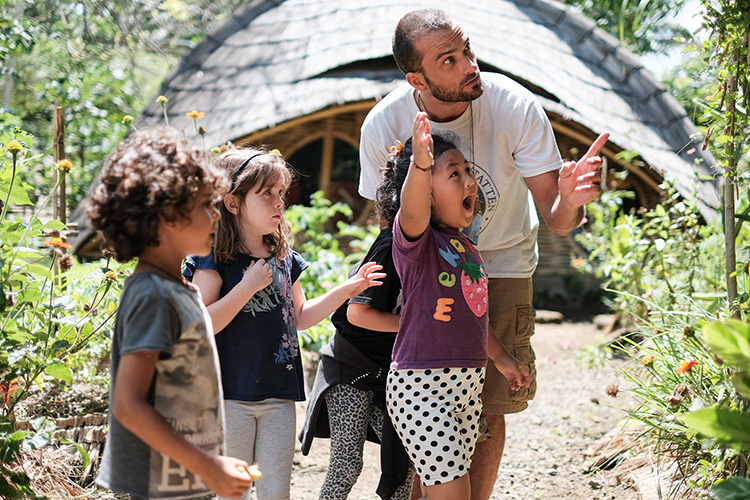 In the Primary Years, open air classrooms inspire students to connect with their environment, chase adventure, and pursue their passions. It’s a time for fun, laughter, exploration, and inquiry, while building relationships, expressing creativity, and getting dirty. 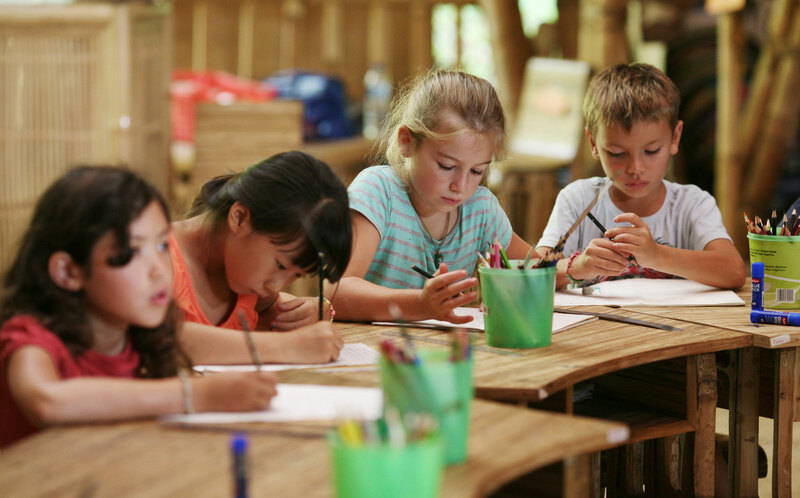 Primary students strive to master core competencies in maths and literacy in a highly supportive learning environment. 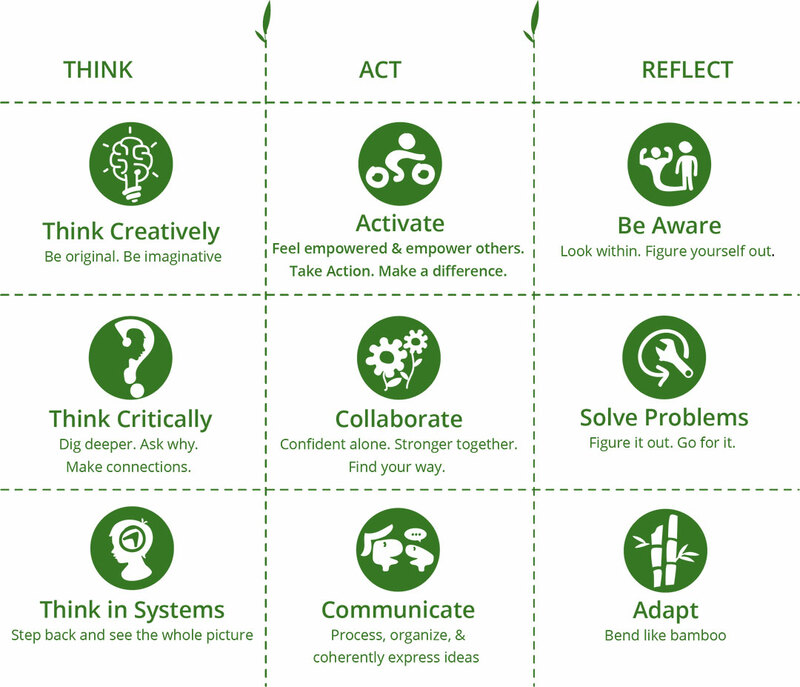 Student-guided, hands-on projects promote entrepreneurial thinking, environmental education, practical skills, and the arts, and foster students to become effective collaborators and communicators, empowered decision makers, and willing risk takers. Our holistic approach engages the four intelligences — physical, emotional, intellectual and intrapersonal — through the Three Frames of Learning. For more explanation, see the video. 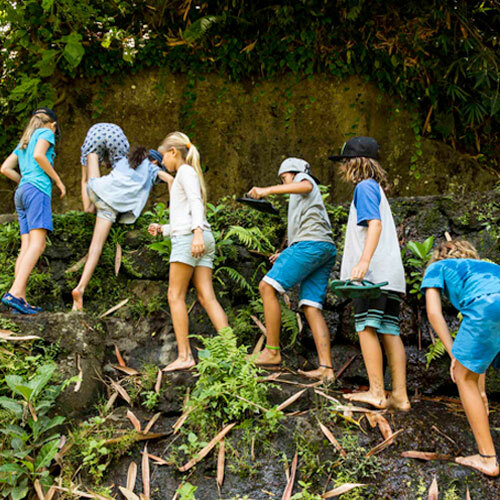 Students in the Primary School master academic foundations while developing relationships and a love for learning and nature. This new Grade 5 passion project is designed as a capstone experience that prepares students for the Grade 8 Quest and Grade 12 GreenStone projects. Helping Hands or picket connects primary students to our local operations staff, where students take responsibility for the daily jobs that occur around the Green School campus. From preparing for school lunches to sweeping the Heart of School, students assist in the daily running of the school. 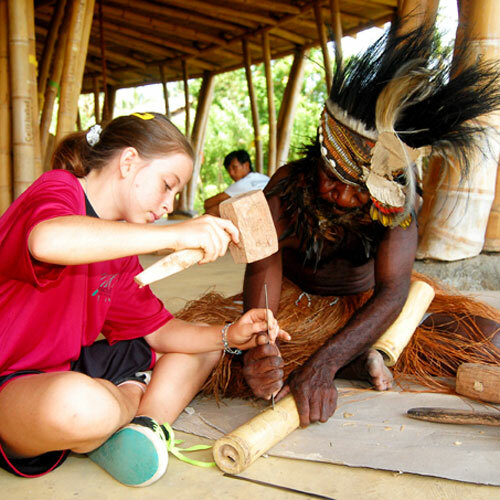 Indonesian language and culture form an important part of the education offered at Green School. 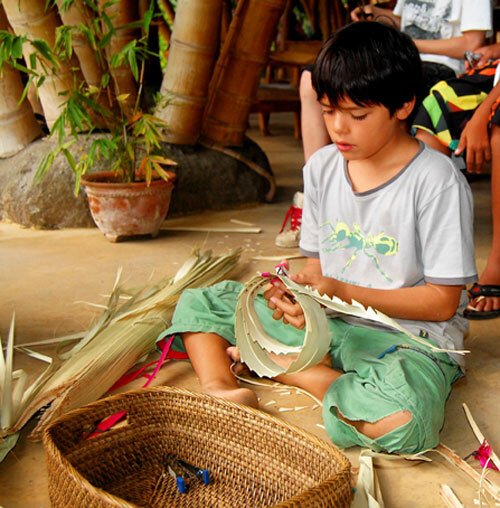 The arts and culture of Bali feature in our festivals and assemblies and are taught as part of the Visual Arts and Performance Arts practical lessons.